We are so excited to welcome Mandy Fender to Lands Uncharted today! 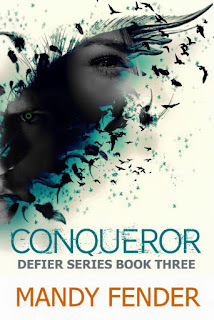 We're part of a blog tour celebrating the release of Conqueror, the final book in Mandy's Defier series! I'll share more about Mandy and her new release below, but first she took the time to answer some questions for us. Enjoy! I'm an INFJ, too! What prompted you to start writing? Are you one of those authors who knew you were meant to write since childhood, or did it come as a discovery later in life? Definitely one of the ones who knew since childhood but did not pursue it until adulthood. I write because I love to write. It’s healing for me and like a release, if that makes sense. Absolutely! Which fictional character (book or movie) do you most relate to, and why? That’s tough. I think I can relate to Lucy Pevensie in the Chronicles of Narnia because she just believes, she believes in the impossible and holds on to what Aslan tells her. Her heart wants to do right even though she is not always sure of what that is. I have my fair share of struggles and I hope that I hold on to what God has said to get me through them. One of my favorite scriptures says “do everything in love” and I think Lucy does just that and I hope I grow to a place to do that too! That's an aspiration for me, too—it's so much harder than it sounds! We’re all about exploring new worlds here at Lands Uncharted—if you could choose one place to visit, real or fictional, where would you go? I would absolutely love to go to the Maldives and stay at a bungalow in the middle of the water. It just seems like one of the most peaceful places and I’d get to see Bioluminescent Plankton which turn the ocean into a breathtaking field of glowing stars at night! Any natural wonder of God’s creation blows my mind and I want to see it with my own two eyes! I’d also love to see the Northern Lights in real life! That does sound peaceful! Do you have any go-to foods or beverages while writing? I usually don’t eat when I write, but I drink sparkling flavored water. Any flavor. But my favorite is peach, or white grape, or strawberry…I can’t decide. That’s my go-to drink for everything. It tastes like soda to me but without the calories. LOL! Ha, perfect! What advice would you share with an aspiring author? Just keep writing. Write for you, because you want to. Study and grow in your craft, but don’t wait on perfection because it will never come and don’t let other people’s opinions of your writing consume you. There are no two writers that are the same. You have your own voice and your own stories to share! Just write! You got this! Love it :) Now, let’s talk about your latest release, Conqueror! What do you hope readers will take away from this book? I hope that readers will take away hope and that their courage would grow in the Lord. I’ll be honest, this series does have an overt Christian message of fighting for faith in the midst of persecution. It’s not subtle, so I hope anyone who reads it is encouraged and inspired to be brave for Christ. Ooh, I can't wait to read it! What inspired you to write the Defier series? Real Christian persecution. I saw men and women stand for what they believed in even though it cost them everything, just like the stories we read in the Bible, except it was happening in the twenty-first century. I wanted to honor them in my own little way and remind myself and others that faith is worth the fight. Throughout the series there are scriptures and Biblical references mixed in to the scifi elements and dystopian setting because that is what inspired me to write it in the first place. What a powerful inspiration! 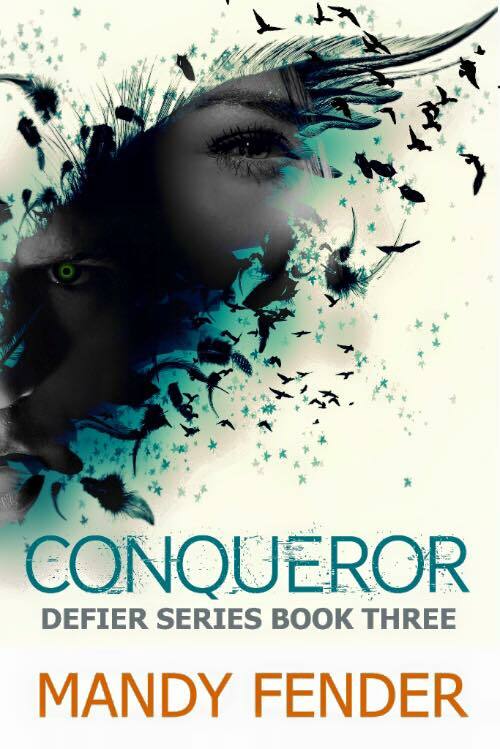 Conqueror is the final book in your Defier series, and you’ve also published a number of devotionals! Can you give us any insights into what you’re working on now? Yes, thank you! I am working on a Christian fantasy novel. It’s a standalone novel that I hope to finish sometime next year, well, the first draft anyway. It will have romance, vicious creatures, and a quest to find a long-lost King. It’s very different from anything I have worked on and is set on a beautiful cold island with Prophets, Shadows, Sages, Apprentices, and Chatats! I will reveal more about it as I go and anyone can follow my journey through social media or my newsletter! :) I just love writing! Sounds amazing!! Please share a favorite line or passage from Conqueror with us. This is a line from Lennox, the MC, that I just love because it is so simple, but something I crave to be able to say myself! Thank you so much for having me on Lands Uncharted! It was an honor to chat with you! Mandy Fender is an award-winning author, speaker, and blogger who hopes to glorify God and uplift others. She guest blogs for Broken, Beautiful, and Bold and has a monthly inspirational article in a local newspaper. Her writing has been featured in Devozine magazine for teens and Epifiction. It is her aim to live and love like Christ and her writing is just another avenue to do that. 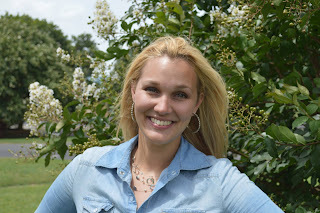 She's a new homeschool mom and serves in full time ministry with her husband in the great state of Texas. If you'd like more info on her work visit: mandyfender.com. You can also find Mandy on Facebook, Twitter, Instagram, and Google Plus. Eeeeep, I can't wait to dive into this series!! You can purchase Conqueror here. 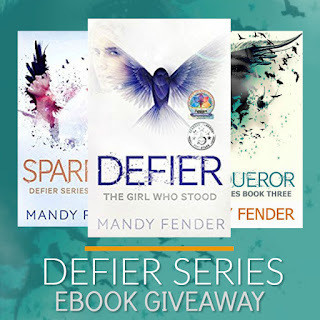 Mandy also has a giveaway to celebrate her new release! 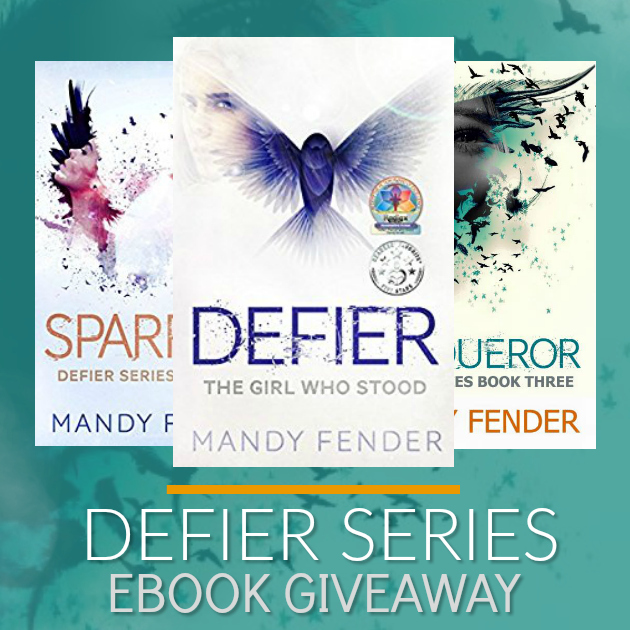 She has generously offered to give away ebook copies of the complete Defier series to one winner. (Open internationally). Enter below! I agree! That is one powerful inspiration for a series! Also, love her favorite line so much!